Here are some facts about Michael Faraday. Michael Faraday was an English scientist, and one of the most important scientists of all time. He is known for his discoveries in chemistry, electricity and magnetism. Faraday was born in 1791, just outside London. His first job was in a bookshop, allowing him to read lots of science books, and he later attended lectures at the Royal Society. In 1825, Michael Faraday created the Christmas Lectures, hosting them 19 times. The talks still take place today and have been hosted by Carl Sagan and David Attenborough. His work led to advances in many areas of science. Faraday helped to develop the use of electricity in technology, helped to create electric motors and discovered the laws of electrolysis. 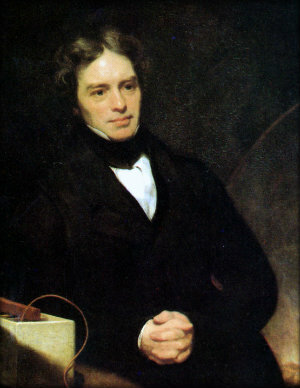 Faraday began experimenting with electricity in the 1820s. He constructed the first dynamo and came up with important theories about gravity and light. Michael Faraday also carried out research into chlorine and invented a simple Bunsen burner. He came up with several new words that are still used today, including ion, cathode and electrode. He was concerned about the environment and investigated industrial pollution in South Wales. He also helped to plan the Great Exhibition of 1851, and advised the National Gallery about cleaning their paintings. Faraday refused to accept a knighthood and turned down a request to become President of the Royal Society. He also refused to help the government create chemical weapons, on moral grounds. A workshop used by Michael Faraday can still be seen today, next to the only lighthouse in London, at Trinity Buoy Wharf, in the heart of London’s Docklands. Streets in London, Nottingham, Swindon and other UK cities are named after him, as well as streets in Paris. Many schools are named for him, as is a small park, Faraday Park, located close to his birthplace in London.